The Patriarch of the Kennedy Dynasty has passed. Whither now health care reform? Why is this important? For the last 40 years Edward Kennedy was the voice of the under-represented. His lifetime goal was a more perfect and accessible health care system in the United States. He worked tirelessly to achieve these goals. We are told that he counseled Barack Obama in the early days, “I will support you openly under the condition that you make health care the centerpiece of your administration.” Wise counsel. But this may have been a strategically and untenable position. Like the myth of Sisyphus, since the days of Franklin Roosevelt every president has aspired to a more perfect health care system. The debate that rages from all sides about health care reform is not about health care reform. It is about economic reform. This is about moving various pieces of the economic pie that are rapidly dwindling. There is no doubt that private and public debt burden is rising at unsustainable rates. This will become painfully evident in the 18 months. Guaranteed. We do not have a health care system. We have a disease management system. And the “crisis” is not new. Medicare is on a path to insolvency within the next 5 years. We have known this clearly since 1997. Congress failed in 1999 at bipartisan reconciliation efforts. In order to achieve this goal and dream of a new health care order, massive amounts of money will be needed. We do not have this money. That is the reality. We are talking trillions and trillions of dollars, where this was not even in our lexicon a year ago. 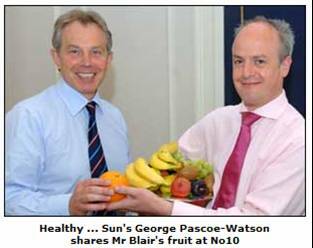 Tony Blair, while still Prime Minister of Britain, in 2007 was interviewed by the British Sun. It was an extraordinary interview in which he was most candid about the prospects for health and the National Health System (NHS) in Britain. I studied this system in the early 1970s and came to the conclusion that “socialized medicine” was not the bugaboo. It is bureaucratized medicine. It does not matter whether it is a government official or an inordinately insensitive insurance clerk. Bureaucracy stifles medical care and innovation. It stifles the creative and inductive thinking processes and discretion necessary for problem solving — clinical diagnosis. Health care and the medical delivery system is not the banking system. This is an entirely different crisis. And we never really solved the banking crisis. We are simply biding our time. It has been widely noted, and it is true, medicine is already being rationed. Pre-authorizations abound. Patients are routinely denied care. Hospitalizations are not fully reimbursed. But it is worse. Even Keith Olbermann just last night had a special on the United Health Group and its current CEO. Each one of you should see the innumerable EOBs [explanation of benefits] flooding an average physician’s office each day. A nice euphemistic term for a explanation of how and why we decided not pay. Insurance companies cut 20% off the top for starters. And then more. Most claims are rarely fully reimbursed. Insurance is the problem … not the solution. We should be talking about reforming and highly regulating the insurance industry. From the incalculable immorality the industry represents to the unreal expectations that the public demands. Insurance subsidizes the cost of drugs. This is why the cost of drugs are rising at an unsustainable rate. Health insurance has become a club membership. It is the only insurance you will ever buy that you expect to pay off — immediately. What Tony Blair discussed with the British Sun was the nature of the struggle between Big government and Smaller government. This is a classic struggle of opposing forces. Who is responsible for this shape future of medical care in this country? It is you and I. The PM wants people to prevent illnesses rather than relying on the NHS to cure them. He told The Sun: “Anyone who looks after themselves is going to live longer. So I repeat, this debate is not about health care, is about the economics of a system that is failing us all — physicians, patients — everyone. It is not a problem that will be solved from the top down. We all need to participate. That is the nature of Longevity and AntiAging and Functional medicine — a new paradigm. More access to a failing system is not the answer. Universal coverage does not guarantee universal access. Universal access does not guarantee healthy and good outcomes. This is not a Left versus Right issue. This is not a Democrat versus Republican issue. This is not a Blue State versus Red State issue. This is not about [from one of the great Pink Floyd cuts] Us and Them. If anything comes of good, despite the pitchfork and torchlight crowds now beseeching town hall meetings, it will be a true national debate. We do not need an immediate fix. We need a new beginnings. More vision. Most of all, we need more input from all participants — practicing health care providers and recipients. Allowed to take its current course, the insurance companies will prevail. They will not lose. This is not what you want. You want insurance reform. That should be the immediate goal. That is what Teddy Roosevelt or Lyndon Johnson would have done. But ultimately, we should think long and hard about just what is optimal health and well being? What would that look like? Be careful what you wish for. Be careful of the law of unintended consequences.